BlackBerry Bold coming to Rogers Tomorrow | BlackBerry Blast! 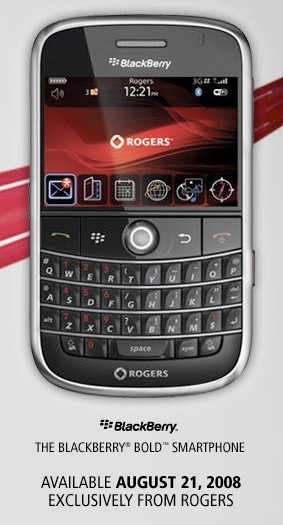 Rogers has announced they will start offering the BlackBerry Bold on Thursday, August 21, 2008. RIM CEO Jim Balsillie told Reuters that the Bold will cost between $300 and $400. It is expected that the BlackBerry Bold will debut around the world by the end of the week, but US carrier AT&T has not made an announcement yet.